As egregious as it might be to say here at PlayStation LifeStyle, I have to admit it: I have not been a fan of the DualShock 4. It’s not a bad controller by any means, but when it comes to this generation, it’s at the bottom of my list. I like the real estate the Xbox One controller offers. It’s more comfortable and it looks better across its color variants. I love the subtle gradients of the Shadow line and appreciate that I can always customize my own controller using Xbox Design Lab. 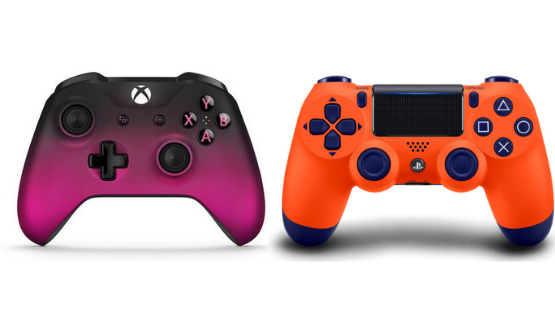 Pan over to PlayStation’s controller offerings, and we have the Goku controller, cheap copper looks, and other mediocre offerings. Most of all though, I’m just a fan of diagonal analog sticks. I feel most at home when holding the Xbox One controller or the Nintendo Switch Pro controller. But I finally learned to appreciate the DualShock 4 when I played Resident Evil 2 on the PlayStation 4. I never even intended to make this discovery. But pickings were slim when it came to getting a copy of Resident Evil 2 from Redbox at launch. My brother was able to secure a copy, but it was for the PlayStation 4. Typically, when a game is available on both the PS4 and Xbox One, I default to the Xbox One because of the diagonal analog sticks. 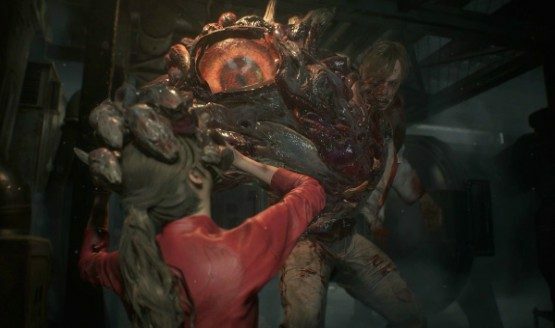 I was so close to never getting the PlayStation 4 Resident Evil 2 experience and, honestly, I would’ve been missing out. I’m thankful Redbox saved me from myself on this one. I’m not suggesting that the map is hard to pull on using an Xbox One controller. Rather, I’m amazed by how much easier it is to pull up when using the DualShock 4. The touchpad takes up a good portion of the controller, so it’s extremely easy to have the map pop up, even if you’re in a panic. 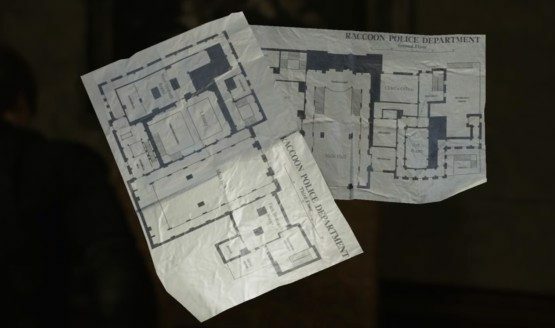 In Resident Evil 2, you’re constantly referring to the map. Finally found the valve handle for the shower room? Great. Get there as quickly as possible after consulting your map. 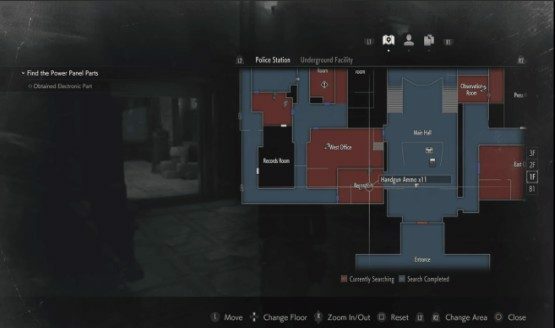 When you’re not sure what to do next, the map lets you know which areas you haven’t fully explored by marking rooms with items in them in red and rooms that have been cleared in blue. If the Tyrant, aka Mr. X, bursts into the room, your map becomes your resource for figuring out an exit strategy that won’t just lead you to a dead end. In a pinch, I even had the map double as a way to pause the game. It gave me some extra time to process what was happening and what I should do next, without having to hit that tiny pause button just to be taken to separate screen. The light bar does more than quickly drain the battery of your DualShock 4. While it’s often glowing at a default PlayStation blue, the light bar is sometimes used to communicate in-game information or to match the tone of what’s happening on screen. In the case of Resident Evil 2, the lightbar serves as another health indicator. You can view your health on screen by hitting triangle to view your inventory. Your health is measured within three stages: Fine (green), Caution (yellow/orange depending on severity), and Danger (red). The controller’s lightbar will glow with whatever color represents your character’s current health. This came in handy, especially during surprise scuffles in dimly lit hallways. While running away, fighting, or some combination of the two is always an option, sometimes you’re so thrown off-guard that everything descends into chaos. I distinctly remember entering the hallway outside the records room and getting attacked by two Lickers and one zombie in the span of a few seconds. In moments like this, it was great to be able to quickly glance down at my controller and know how close I was to death. By far, my favorite thing about playing Resident Evil 2 with the DualShock 4 was the way its built-in speaker was strategically used to enhance the sound design. When you pick up a map, there’s a satisfying crumpling sound emitted from the controller. It’s as if you stuck out your palm and ripped the map from the corkboard yourself. Those close-up shots that occur when a key is placed into a door for the first time are even more wonderful to watch, as you heard the key enter the lock, finally opening up a previously inaccessible area. Solving the portable safe puzzles became a celebratory experience, with each successful beep coming straight from your hands until finally all of them light up in order at once. What was left was a flickering merry-go-round of lights and sound that happened right in front of you as the safe opens. 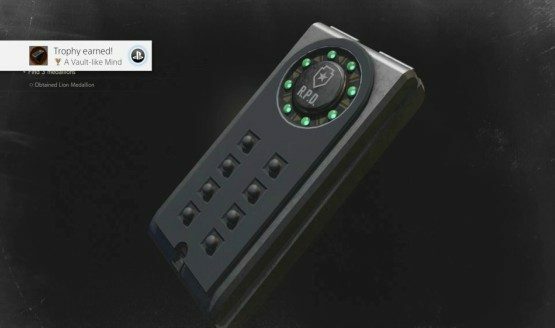 When I finally beat the game and 2nd run to unlock The 4th Survivor, I was thrilled when Hunk picked up his walkie-talkie and the response he got came straight to those tiny controller speakers. It was the perfect mix of loud and muffled, as it was loud enough to hear, but distorted enough that you paid careful attention so as not to miss a word. Having those directions come straight through my controller made me feel like I was Hunk. Once the talking was done and that stressful, beautifully over-the-top score swelled up, I was ready to go, running headfirst into an onslaught of enemies, snapping the necks of any undead foes that bit into me. While many praise RE2’s sound choices when it came to the screeching and disturbing murmurs of the undead, that didn’t do much to scare me or get me engaged. Even though this is an extreme situation, those sounds always came off as hyperbolic to me. But those subtle auditory details coming through the built-in speaker were the sound equivalent of a first-person camera angle. They were so close that the lines between the player and the character were momentarily blurred in the best way possible. I’ve had plenty of times where the extra features of the DualShock 4 were more annoying than impressive. Sometimes, that controller speaker gets used and it feels like an awkward surprise, rather than immersive. I distinctly remember playing Until Dawn and suddenly being forced to keep a controller perfectly still so that my character could hide from the antagonist. I was unsuccessful, and I’m pretty sure people died as a result. It felt like an unfair moment in an already subpar game. 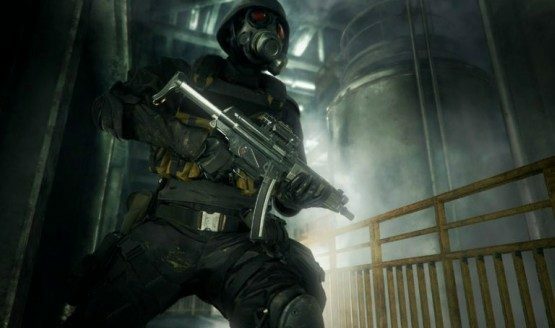 But in Resident Evil 2, all the DualShock 4’s features made the game easier and more enjoyable to play the entire time. When a single-player game is available on both the PlayStation 4 and Xbox One, the choice usually is made for you (you may not own both platforms) or it comes down to something arbitrary. But in this case, the choice is clear. If you can, you need to play this on the PlayStation 4. The controller provides an experience you can’t get anywhere else.